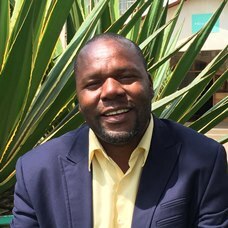 Washington joined Kickstart in June 2016 as the Head of Partnership and Sales in Southern Africa. He oversees our work across all of Southern Africa including in the Democratic Republic of Congo, Zambia, Malawi, Zimbabwe, Angola, and Mozambique. Washington has a wealth of experience in fast moving consumer goods (carbonated drinks and dairy), IT, telecommunications, and irrigation, spanning a career of over 17 years. His experience includes marketing, sales and distribution management, business development, new product development, management of special business units, and project management. Washington has a Bachelor of Commerce Honours Degree in Marketing from the National University of Science and Technology (NUST -1997) and a Masters of Business Administration (MBA) from the University of Zimbabwe (2004).